58% Cotton, 42% nylon. Made in England. 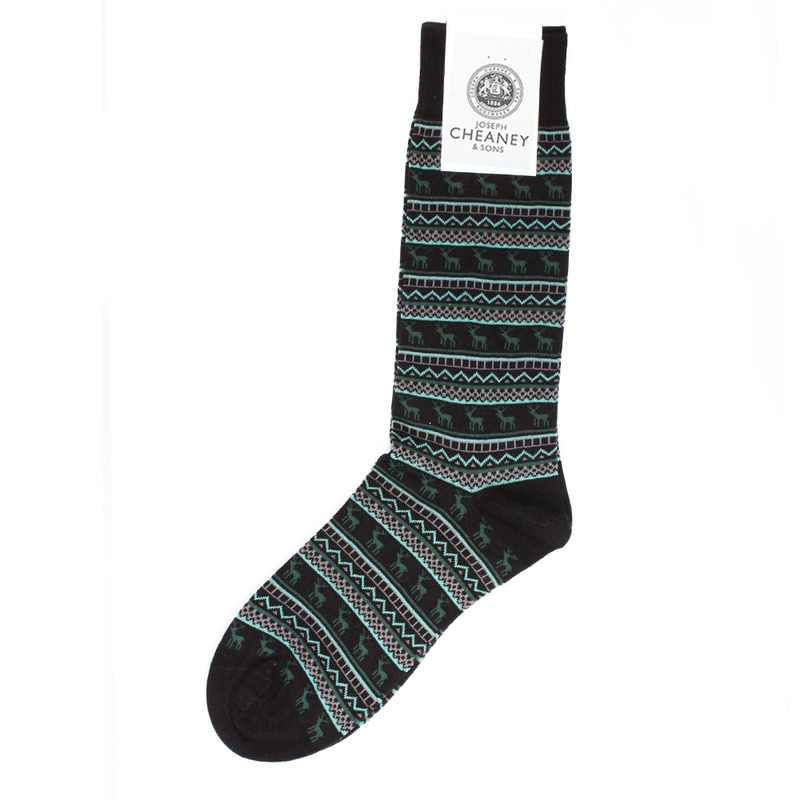 A festive favourite this Christmas, featuring a fairisle pattern with stags. made in England, delightful for the holidays.